Uphoria Studios » Blog Archive » Is outsourcing Search engine optimization service good for your firm? 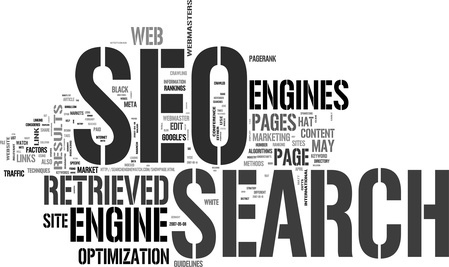 Is outsourcing Search engine optimization service good for your firm? Outsourcing has been part and parcel of growing businesses around the world with many of them seeing it as the best alternative to hiring in house staff. Using service providers to handle certain business processes has proved to beneficial to both large and small organization resulting in growth within the outsourcing industry. Therefore, it is not odd to come across many firms online offering search engine optimization services to companies as a way of connecting better with their target audience. These SEO firms offer a wide variety of services making it possible for business owners to choose those that will be beneficial to their company. As a business owner, making the decision to outsource search engine optimization services may not be easy because of the many divergent views available on the topic. However, there are a number of advantages of outsourcing SEO services that when considered can help you decide whether it is a good option for your firm. As a growing firm, cutting down costs is something that makes it possible to offer quality services while minimizing the investment put in. Outsourcing SEO is one of the best ways of saving costs by avoiding expensive SEO trainings and hiring in house staff. Also, having experts offering the service will ensure that the investment put in will result in improved search engine optimization. Majority of firms that offer SEO outsourcing services are experts in their field, which makes it easier for them to work effectively on your online campaign. They can quickly engage with the target audience using the appropriate tools and experience resulting in better SEO for the firm. In addition, using their skills they can be able to suggest other ways of reaching your target audience more effectively. Search engine optimization requires some bit of knowledge as it can get a bit complicated making you lose a lot of time trying to understand what it is all about. However, when working with an outsourced firm that is specialized in offering these services, the SEO work is done much faster. Using the latest tools they are able to make important decisions for the benefit of your firm. Since majority of companies have discovered the benefits offered by SEO, many have invested in it to be able to reach more customers. Therefore, it is only obvious that you should do the same in order to be among the best in your industry. Engaging the services of an SEO firm ensures that your firm is always at the top of search engine lists so that you are always a step ahead of your competitors. All in all, the final decision to outsource search engine services needs to be well thought out even though its benefits are evident for all to see. The need for proper SEO services can never be underestimated especially in this digital age where the online market for products and services keeps on expanding.